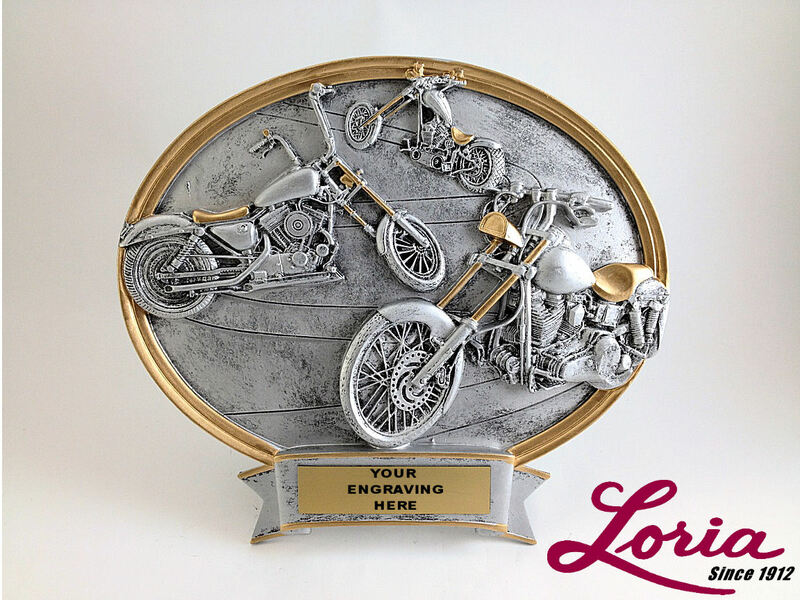 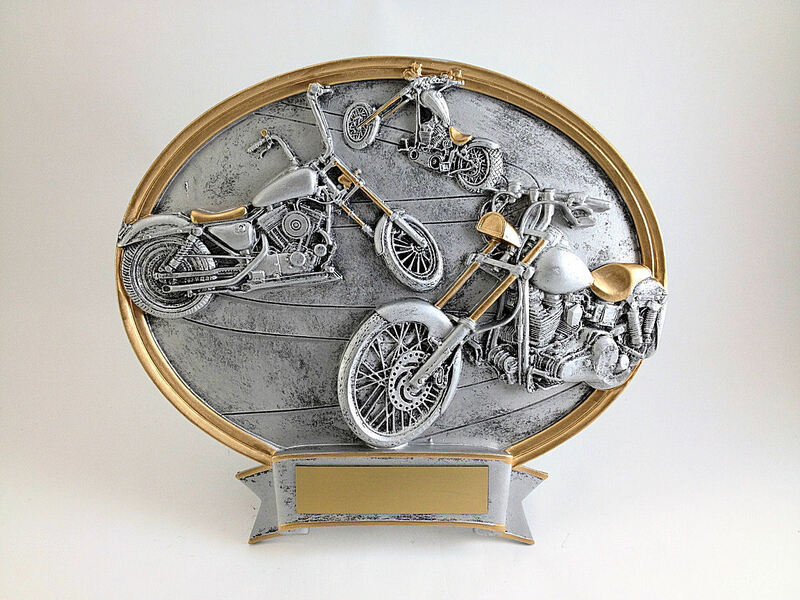 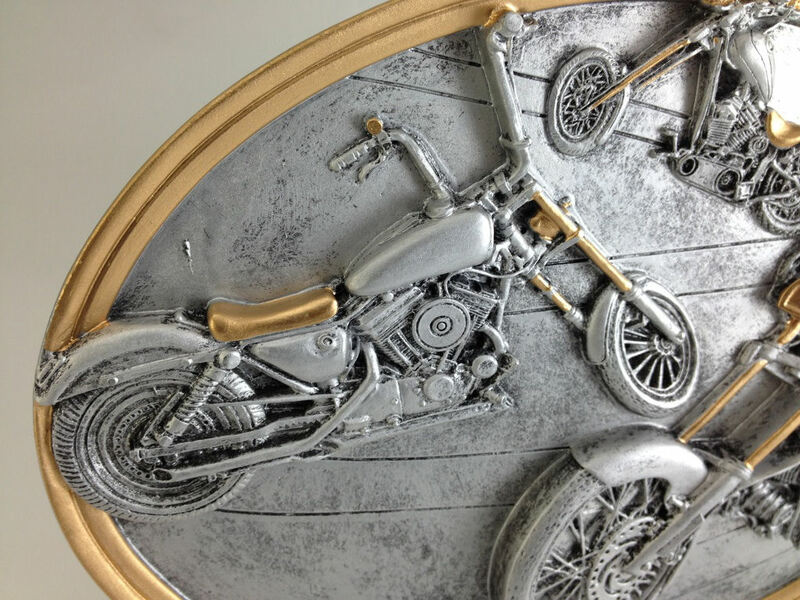 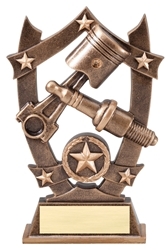 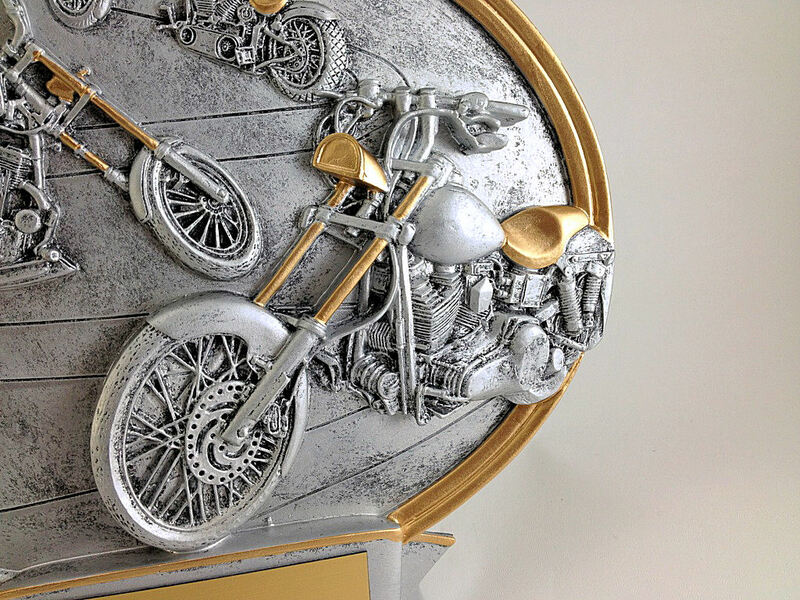 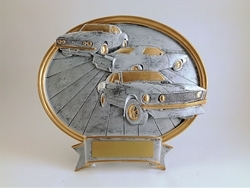 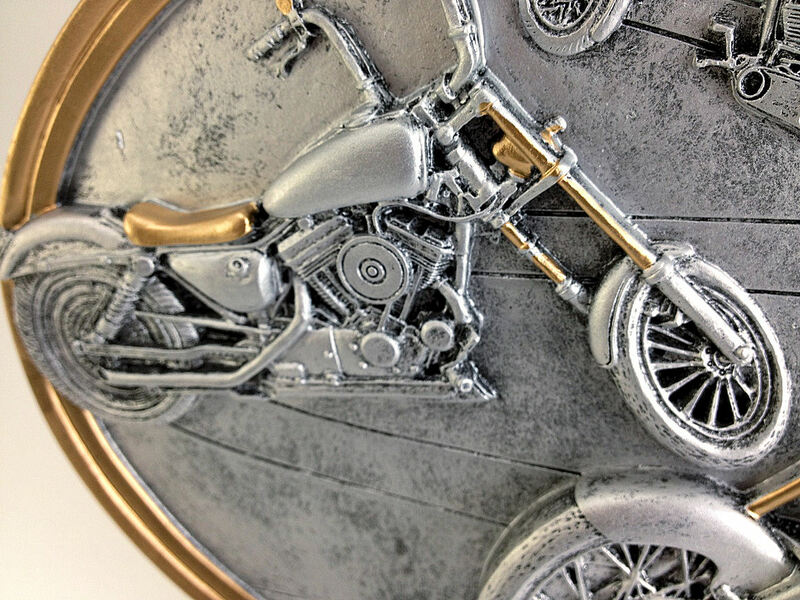 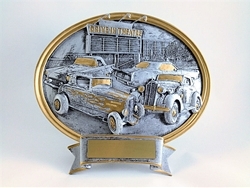 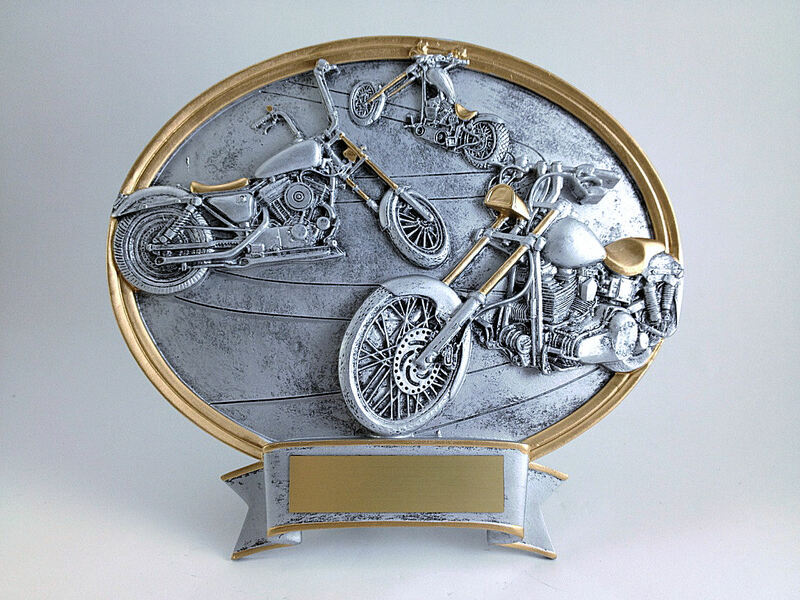 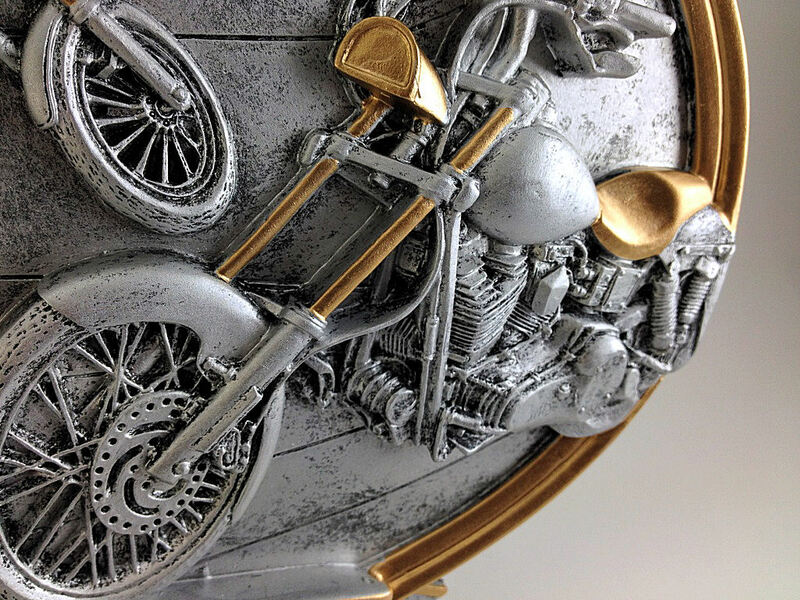 Motorcycle collage, highly detailed resin sculpture award trophy with an antique finish. 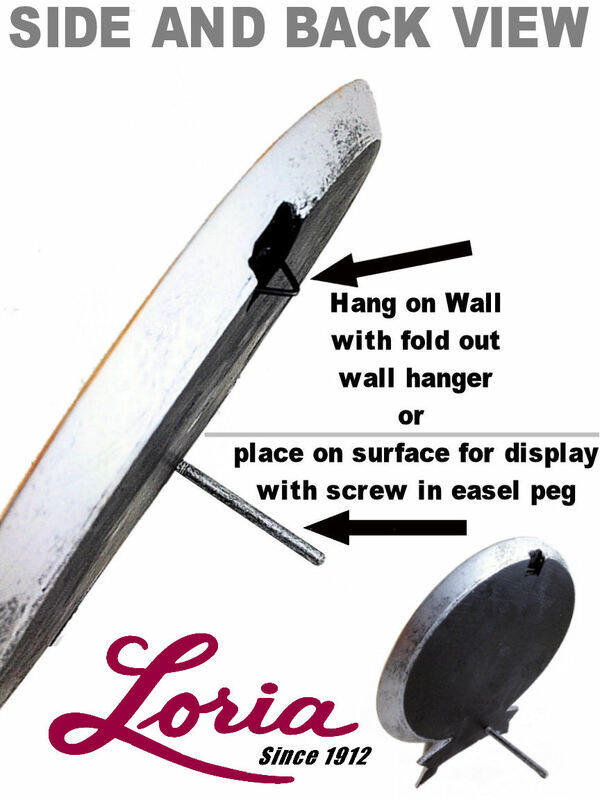 Can be hung or self standing. 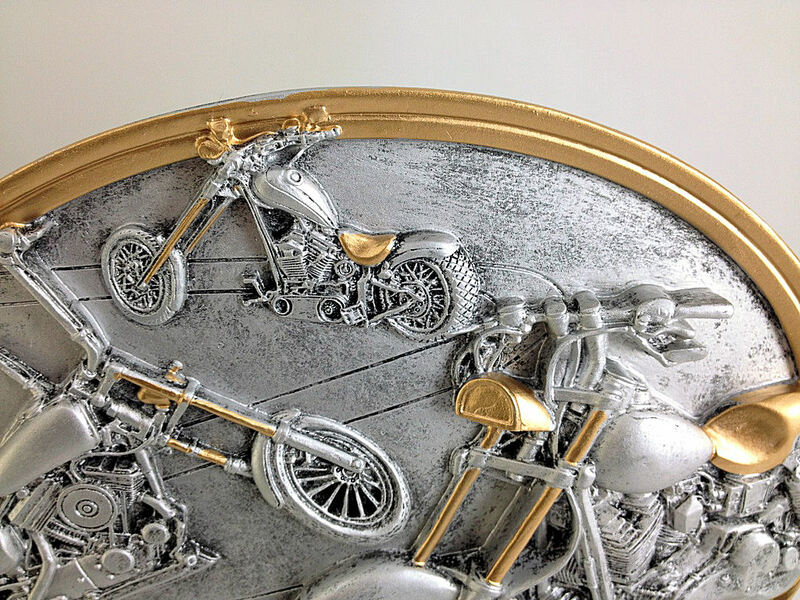 8" high x 8" wide.